August 3, 2017 – The primary mirror for the National Science Foundation (NSF) Daniel K. Inouye Solar Telescope (DKIST) — the heart of this sophisticated instrument — was successfully delivered August 2 to its destination atop Haleakalā on Maui, Hawaii. When completed in 2020, DKIST will be the world’s largest solar telescope, providing scientists with new insights into the physics of the sun and a better understanding of how space weather affects satellites, the power grid, and other infrastructure upon which human society has come to rely. 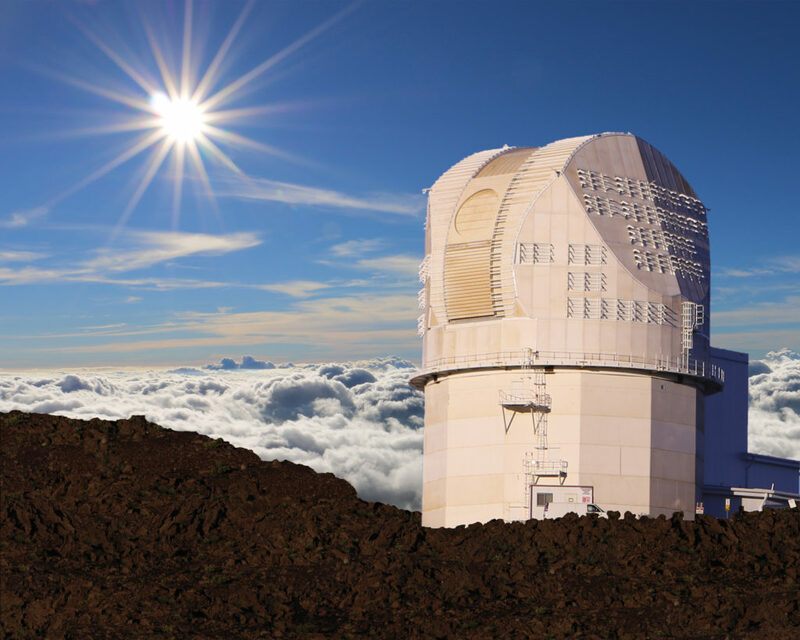 DKIST, operated by the Association of Universities for Research in Astronomy under a cooperative agreement with NSF, will join a suite of telescopes on Haleakalā’s summit that have spent several decades observing the sun and the rest of our universe. The mountain’s summit is one of the few places on Earth with “coronal skies,” meaning solar astronomers can view the sun’s corona relatively free from the hazy scattering of light caused by the atmosphere.